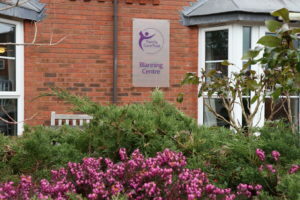 The Blanning is our dementia day centre in Solihull, which focuses on providing specialist care and support for people with memory problems, such as Alzheimer’s, strokes, Parkinson’s and other mental health problems. We’ve created a safe, supportive environment for our clients, providing carers and relatives much needed, reliable respite opportunities. As experts in care and support services, we build close, caring relationships, with our focus very much on each individual person. Our dementia care centre in Solihull is open five days a week from Monday to Friday between the hours of 8am and 5pm every week of the year, excluding Bank Holidays. Transport can be arranged at a small additional cost to bring people from across the Solihull Borough to the Blanning Day Centre. Refreshments are available throughout the day and a three course lunch is provided. The aim of the day care service is to provide a friendly, caring and supportive environment. 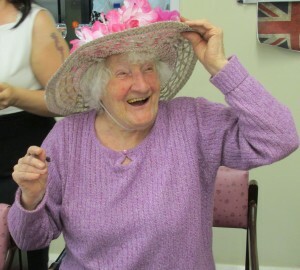 Regular activities are carried out following a weekly timetable, including reminiscence, physical, solo, mental stimulation, therapeutic and interest activities to stimulate, motivate and provide interaction. 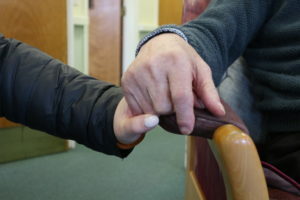 Support is provided with personal and social care. We have a variety of rooms within the Blanning Day Centre for arts, crafts, games, dining and relaxation. This includes a memory room containing old photos and memorabilia, which are designed to help people to recall their past in an interesting and motivating way. We offer activities that are meaningful, stimulating and give the opportunity to learn new skills. A well-tended garden area provides a safe, pleasant outdoor space for activities and relaxation. 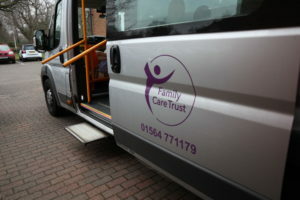 Regular supported trips out are taken within the local community using our centre’s minibuses with disabled access facilities and experienced, qualified drivers. We promote independence, choice and wellbeing, recognising individual needs through regular assessments. Day care provides social contact in a safe environment for our clients, and gives carers and relatives much needed, reliable respite opportunities. The care we give comes with encouragement, patience and a friendly smile. We are also in partnership with the UK Care Guide. If you want to discuss your relative or loved one attending our dementia day centre in Solihull, please contact us today.